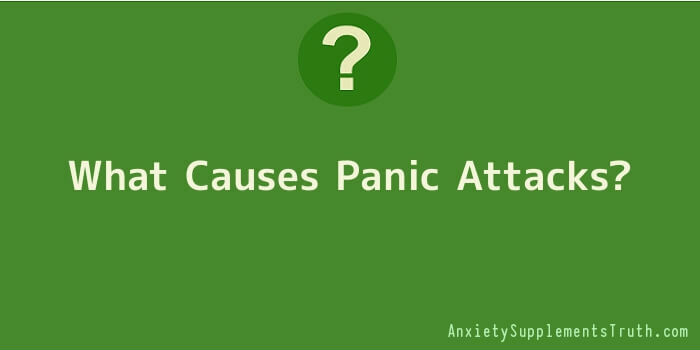 Panic attacks are caused by the body over-reacting to an anxiety or fear. A great deal of research has been done to try to find out the causes of panic attacks and why some people are more susceptible to them than others. It has been found that there are a number of different factors that can make you more or less likely to experience a panic attack at any particular time. So Why do People have Panic Attacks? Some of the factors are biological and some environmental. Anxiety and Panic Attacks often run in families, stressful situations in your life such as bereavement, losing a job or moving house can all make you susceptible to panic attacks. Drug and alcohol abuse can also increase the likelihood of anxiety and panic attacks. There is no hard and fast rule as to the causes of panic attacks and how they affect people. Some people will experience a panic attack once in their lives and never have a repeat attack. Others will find the experience so terrifying that the fear of a repeat attack can cause the anxiety that triggers their next attack. This vicious circle of anxiety and panic attacks is a classic symptom of panic disorder with a circle of anxiety where the fear of a panic attack actually causes the next attack. People worry! All of us when faced with a problem or difficult situation will experience anxiety. It is perfectly normal and actually quite healthy to experience anxiety when confronted with a difficult situation. Someone who is suffering from panic disorder will react to the same problems with an exaggerated physical reaction. This can include a racing heart rate, palpitations, sweating, trembling, shaking, numbness and tingling in the extremities as well as feeling faint or dizzy. Someone suffering from panic disorder can suffer a panic attack anywhere and at any time. It is not unusual for people to suffer panic attacks at night. If you are suffering from a panic disorder then the additional stress of a bad dream can lead to night panic attacks. You will often find that a pattern develops and certain situations will trigger a panic attack. In an attempt to avoid these situations sufferers will start to avoid places and activities that they associate with panic attacks and in the process can easily develop other conditions such as agoraphobia or social phobia. Panic attacks can happen to anyone! A one off panic attack should not be a cause for concern. You will usually find that it has come about at a time of high stress or anxiety in your life and as things return to normal you will become less likely to suffer a repeat. Panic disorder, where you are getting successive panic attacks is completely treatable and there are a number of effective treatments for panic disorder. Your body has learnt to over react to situations and you can retrain it to react normally. Forms of cognitive behavioural therapy, for example, will help you to change your response to what triggers a panic attack. It is also worthwhile taking a critical look at your lifestyle, cutting down on caffeine and alcohol, eating more healthily and getting more exercise will all make you less susceptible to panic attacks and help you to cope with them better. Severe panic attacks are very dangerous attacks which can happen to any individual. It disrupts the normal life of an individual. Panic attacks are also known as anxiety attacks. Severe panic attacks are primarily due to intense and excessive fear or panic. The worst thing about these panic attacks is that they occur suddenly and they come without a warning. Hence one needs to understand the various causes of severe panic attacks so as to avoid them. Let’s check out the causes one by one. It has been observed that over the past few years’ people who have complained of panic attacks have had their fore fathers suffering from it too. Severe panic attacks have been found to run in the families. Hence genetics play a crucial role in determining whether a person is bound to suffer from severe panic attacks or not. And for this you require immediate non medicated treatment to get rid of panic attacks completely so that it will not pass on to your next generation. Scientists have identified that nutritional imbalance tend to result in severe panic attacks. Several people who are suffering from severe panic attacks tend to be having deficiencies of essential minerals and excess of toxic metals. Various essential minerals include magnesium, zinc, calcium and amino acids. These are also called as sedative nutrients for the nervous system. Deficiency in any of the above essential nutrients will lead to severe panic attacks. Also excess of nutrients can lead to severe panic attacks. Excess of essential nutrients will speed up the nervous system which in turn results in panic. There are certain minerals like Sodium, Potassium, copper and phosphorus which if present in excess in our human body will lead to severe panic attacks. It has been identified that the reduction of blood sugar can cause extreme reactions in the nervous system which in turn will lead to severe panic attacks. More than half of the population in this world suffers from low levels of blood sugar and this has been the primary answer for “What causes severe panic attacks”. It has been observed that many people suffer from severe panic attacks due to the toxicity of metals copper, mercury, cadmium and lead. Cadmium interferes in the metabolism of zinc which is considered as one of the most essential nutrients for human body. These toxic metals are very much common in the USA. Environment factors also play a critical role in causing severe panic attacks. If an individual is exposed to a stressful environment or being physically or sexually abused repeatedly, then these become major causes for severe panic attacks. Most often, severe panic attacks are caused due to the stressful environments. The most common stressful environment is the workplace. Almost 35% of the people suffering from severe panic attacks are working professionals. This indicates the load of stress they have been undergoing. Hence, it’s always better to understand the various causes of severe panic attacks and also the best treatment techniques that are available so that one can carefully avoid the above causes to lead a normal life free from panic attacks.